Weston Logistics, part of volume housebuilder Weston Group, has opened the Braintree Logistics Centre, a vast new 75,000 sqft (6,970m2) distribution and build-of-site complex, which is one of the most advanced in the UK construction industry. 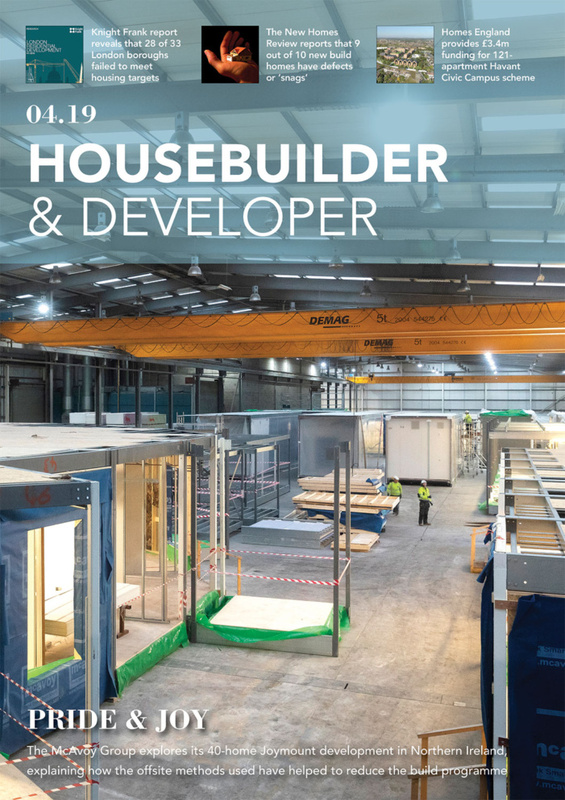 Effectively a ‘housebuilding factory’, the new hybrid plant introduces automotive-industry style logistics, assembly and quality-control to the homebuilding sector. 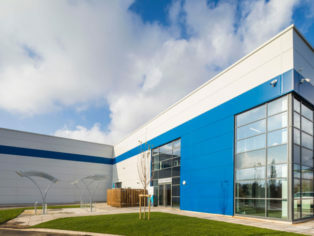 Located on a high-security 3.5 acre site the new £12 million Braintree Logistics Centre is a huge 33 feet high (10m) warehouse and manufacturing complex designed by PRC Architects, Gideon Hillman, the supply chain consultants, Globe Tooling Ltd, the precision engineering firm, and Weston Group. Constructed over a period of 18 months, the new complex offers 60,000 sqft of warehousing space, a 10,000 sqft state-of-the-art manufacturing, assembly and quality-control workshop and 5,000 sqft of high-tech offices. The complex currently has 40 staff, including technical engineers previously employed at Airbus Industries, and once fully operational, the logistics division will provide over 60 new jobs. Sophisticated IT allows raw materials, goods and components being freighted from suppliers around the world to be tracked via GPS from the complex’s control centre. The entire supply chain is closely yet remotely monitored – from the start of a journey from the supplier until the goods arrive at the Braintree Logistics Centre. At the centre items are barcoded, stored until needed; then retrieved, products assembled and quality control tested (using high-tech machines and automated processes); packaged as per homebuyer customer’s individual specification choices; then shipped to the Group’s different residential development sites. Intermodal containers are used for the efficient transportation of goods and raw materials shipped in from locations including China, the United Arab Emirates and Italy. The centre has the capacity to handle 1,200 container shipments per annum. The CCTV monitored centre has security gates, high fences and a manned security lodge which checks all shipments into the complex. The storage centre holds the components required to build a house or apartment including flooring, cladding, wall tiles, paneling material, kitchen components and bathroom components including up to 400 vanity units at any one time. At the centre, three dock-leveller bays allow for the rapid unloading of materials on pallets and an advanced storage and retrieval system (ASRS) has items barcoded and stored in a 60,000 sqft, 26 feet (8 metre) high pallet racking complex with 27 storage isles, which can hold over 8,000 pallettes and other materials. The computer controlled wire-guided system fitted to the floor and storage isles allows for the state-of-the-art computer-assisted Toyota folk-lift trucks in the complex to operate safely and precisely at extremely high-speeds. Bulk deliveries can now be unloaded, computer-coded and stored quickly and safely in as little as 15 minutes, compared to an average of three hours previously. The system has also dramatically reduced the levels of transit and storage damage to expensive materials such as glass, marble and stone. The 10,000 sqft state-of-the-art manufacturing, assembly and quality-control workshop is designed around a series of conveyor belts and stillages-on-wheels which transport items to processing machines, precision engineering tools and site assembly plants. The workshop allows for raw materials to be cut and assembled into items such as bedroom wardrobes, bathroom vanity units and bathroom cabinets. Kitchen and bathroom components can be quickly assembled and transported on the stillages. The workshop also enables water-taps and kitchen and bathroom basins to be assembled, fully test run for water-leaks, flow and temperature control and barcoded once quality-control approved. The Group’s residential development division, Weston Homes, offers purchasers a diverse range of options to customise the specification of their home including choice of kitchen units, colours, worktops and upstands and a choice of bathroom suites, wall and floor tiles, colours and finishes. Buyers are also offered a choice of flooring – wood, carpets, colours and finishes – to their living areas, kitchens and bedrooms. At the shipping bay in the new centre data on customer’s individual specification choices is downloaded onto a hand-held barcode and customer-order scanner, creating a pick-list for items to be retrieved from the storage bay and assembly centre. 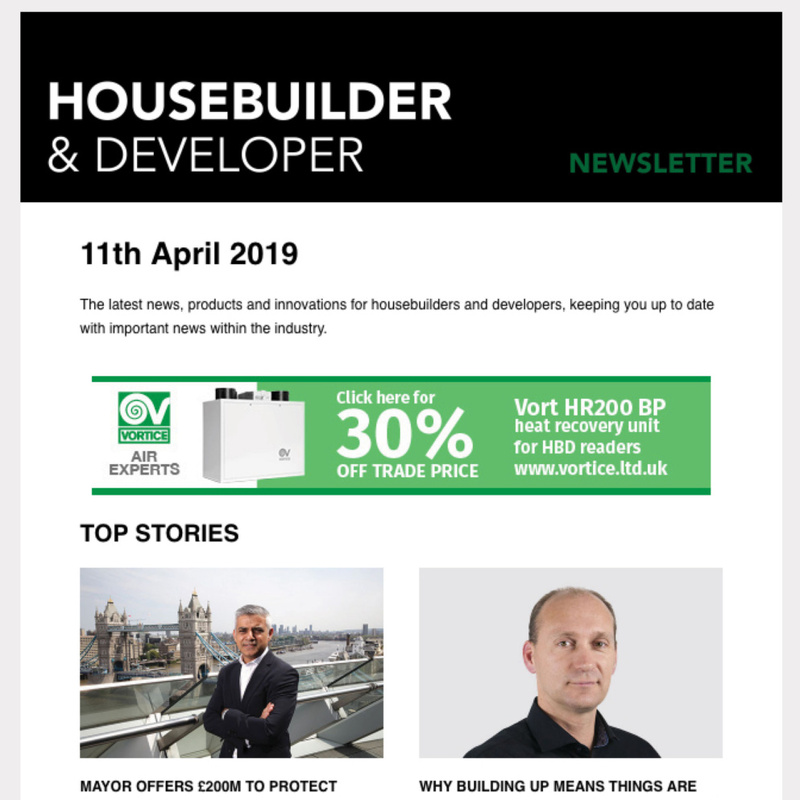 The bespoke customer order – typically a kitchen pack, bathroom pack and other fittings and finishes – is then packaged and shipped to the Group’s different residential development sites. The complex can supply up to 60 plots per day at maximum capacity; but current plans are for Braintree to help deliver up to 5,000 new homes per annum. Before any orders are placed with the Group’s global network of suppliers, each supplier is rigorously audited by Weston Logistics to ensure that the supplier operates to a high-code of ethics respecting the environment, human rights and women in the workforce.